Winter came early here in eastern Arkansas, and some areas have already experienced winter driving conditions and below freezing temperatures. Here are some tips for how to keep your car in top shape for the cold season. Check your antifreeze. Antifreeze keeps your engine from freezing up in cold weather, so it is vital to make sure you are not running low before the low temperatures hit. Get new tires. If your tread is wearing thin, it's time to go ahead and get new tires. Inadequate tread can be especially dangerous in winter, as slick tires can make it easier to slide on icy patches and harder to grip and get traction in the snow. Make sure to check your tire pressure regularly, as colder weather can make you lose air pressure fast. Keep de-icer spray and an ice scraper in your car. Too many drivers only scrape enough to see out of their front windshield, but this is so dangerous! 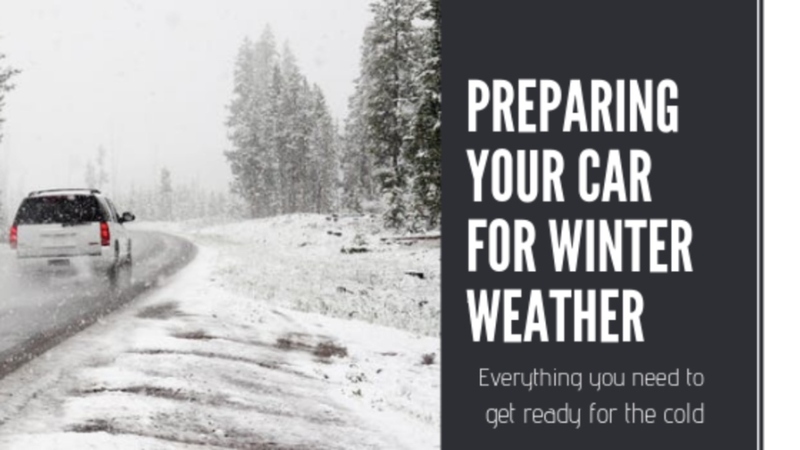 All your windows should be de-iced, as well as your backup camera, before you take off. Make this job easier with this inexpensive homemade de-icer spray and a good ice scraper. You might also want to invest in a windshield cover for your car, to prevent ice build-up in the first place. Replace your windshield wipers. Freezing rain and snow can do a number on windshield wipers, and if yours are getting worn they could make driving dangerous by smearing dirty ice all over your field of vision. They are cheap and easy to install yourself, so it's best to go ahead and have a fresh pair to start the season. Let it run. Many modern cars can technically run fairly quickly from a cold engine, but it's always better for your engine to let the car run for a few minutes before you take off. Besides, giving your heater time to warm up the inside makes for a much more pleasant commute. Add a thermos of hot coffee and you're ready to hit the road! Need a new ride for cold weather driving? 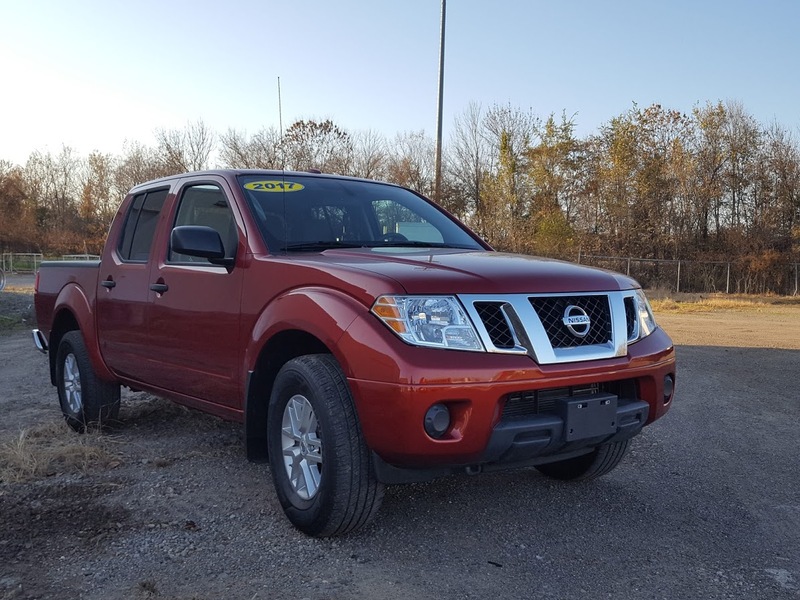 This Frontier has 4WD and plenty of room for the whole family, and it's Christmas red! There's nothing like the look and feel of a new car's interior. 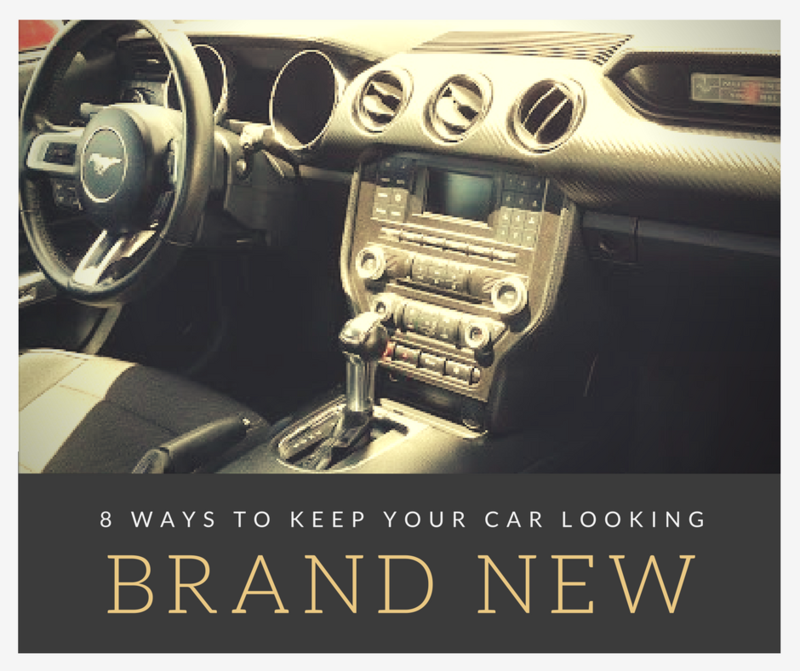 That famous new-car smell, and the shine of new interior can make even the most affordable car feel luxurious, but how do you hold on to that clean, sleek look and feel after you've had your car for months or even years? We've got 8 tips for you on how to keep your car's interior in top shape. 1. Keep a waterproof bag for trash in your passenger floorboard within easy reach, and remember to empty it out regularly. 2. If you spend a lot of time in your car, you know how things can pile up. Keep a small basket or bin in your car for those random things that end up hanging around in the car. That way you can just grab the whole bin and take it in the house to put where it belongs. 3.Use a paint brush, makeup brush, or toothbrush to get dust and grime out of nooks and crannies between your vents, stereo buttons, and any other small crevices. 4. Keep glass cleaner and a microfiber cloth in your car to clean interior of windows, mirrors and any other glass services in your car regularly. 5. Sprinkle some baking soda onto your carpet and mats and let it sit while you clean the rest of the car, then vacuum. This will cut any odors that might be in the carpet or fabric. You can do the same for cloth seats, but be sure to sprinkle a minimal amount so that it all comes out with the vacuum, or you'll be wearing baking soda when get up from the seat. 6. Because cars are a small, enclosed space, its a good idea to use a natural hard surface cleaner, such as Mrs. Meyers or Seventh Generation rather than harsh chemicals that you'll be breathing every time you drive. 7. To avoid toxic chemicals and high detailing costs, clean your seats and carpets for pennies with a homemade solution and a stiff plastic brush. Check out this recipe for a more natural upholstery cleaning solution. 8. If your car didn't come with cup holder liners, use small plastic sauce containers in the bottom of your cup holders to catch spills and bits of trash. Then you can just wash them out in the house and keep your actual cup holders clean. If you're in the market to upgrade your ride, check out our website. Also, be sure to follow us on Facebook, Instagram, Pinterest and Twitter for deals on our cars, valuable tips for car care, travel information, classic cars and much. much more! 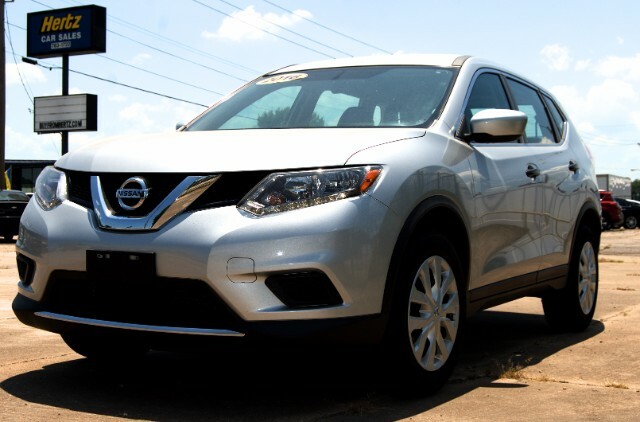 If you're looking for a family SUV or the perfect road trip vehicle, this 2016 Nissan Rogue is for you. 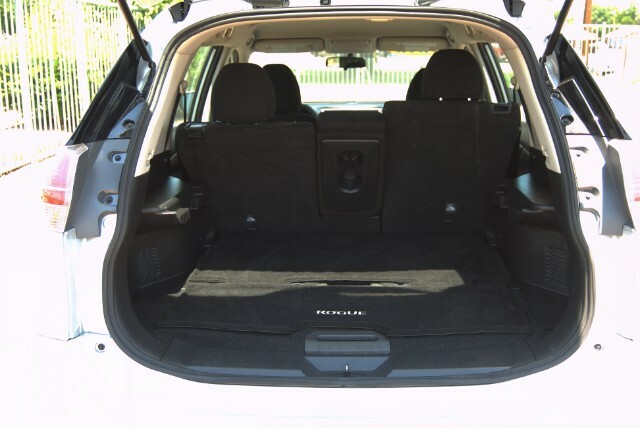 It has a large 70 cubic ft cargo space to hold groceries or gear, and even has extra storage underneath the cargo floor. 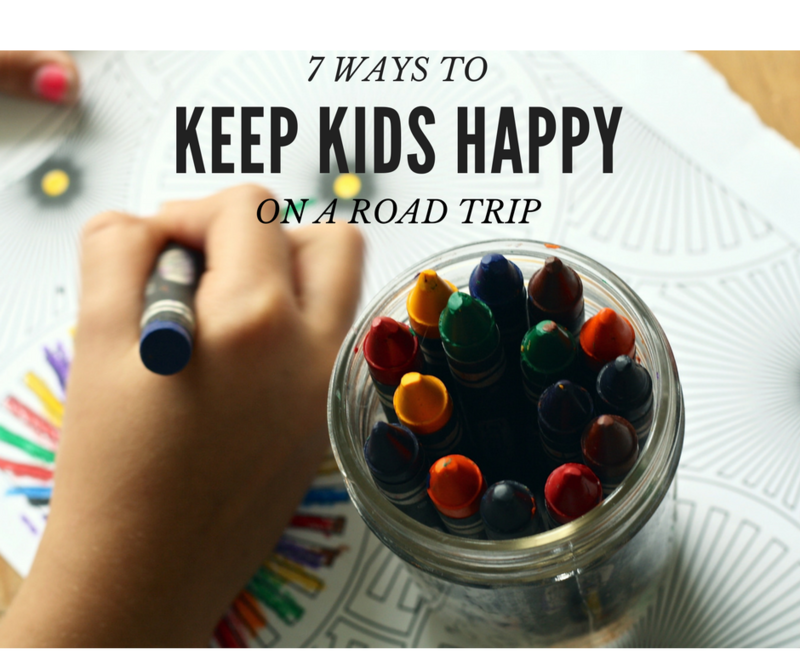 The interior is roomy and comfortable for kids and adults alike. 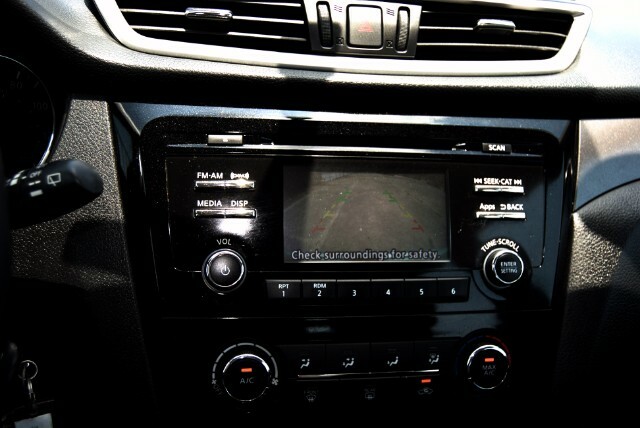 The Bluetooth stereo system makes it easy to listen to everyone's favorite driving playlist, and the back-up camera makes backing into tight spaces a breeze while adding an extra element of safety with kids and pets around. With a towing capacity of 1,000 lbs, the Rogue can pull your small boat or trailer for weekend fun, and All Wheel Drive makes it a reliable ride in winter conditions. 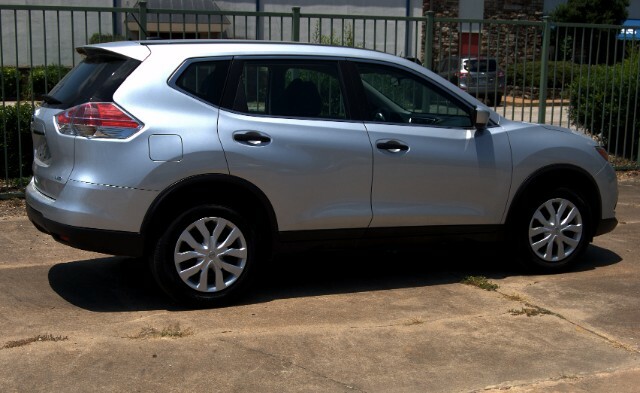 The Nissan Rogue comes with 5 year, 60,000 mile factory warranty. Call or come in for a test drive and we're sure you'll love this smooth-driving SUV. We also have this model in white, and several other comparable SUVs to choose from. Our salesman, Caleb Dewitt, is happy to help you drive home in your dream SUV. Check out this model and many others on our website, and be sure to follow us on Facebook, Instagram, Pinterest, and Twitter. As always, we appreciate your business! Thanks for making Hertz Car Sales your choice for quality, pre-owned vehicles. 1. Post-card kit: Put together a box of crayons, colored pencils, washable markers and index cards and let your kids draw pictures of the scenery. Then grab some stamps at one of your stops, dash off a note to the grandparents on the back side and mail it back home. 2. Play Musical Word Association: Guaranteed to keep older kids and teens engaged with the family. Start by letting someone choose a favorite song on Spotify. The next person listens to the lyrics and comes up with a new song that reminds them of the last song, and explains why it makes them think of it. This one always sparks memories and interesting conversations. 4. Counting Blue Cars: You nineties kids remember the song right? Turn it into a game with your own kids. First one to see 10 blue cars wins a turn to choose the music. 5. Listen to a kid-friendly podcast. There are several quality ones listed here. 6. Pack a backpack with age-appropriate reading, activity books, snacks, and art supplies so kids can entertain themselves while parents get some adult conversation or quiet time. 7. Scavenger Hunt: Make a list of random things you’re likely to see on your trip, and some that might be hard to spot. A pink car, a black and white cow, a water tower, a police car, a Hertz Car Sales location. First person to find them all gets dessert at a restaurant, or extra souvenir money. Check out our website for the perfect family car for your vacation! And don't forget to follow us on Facebook, Twitter, Instagram, and Pinterest. Have a safe and fun summer road trip! 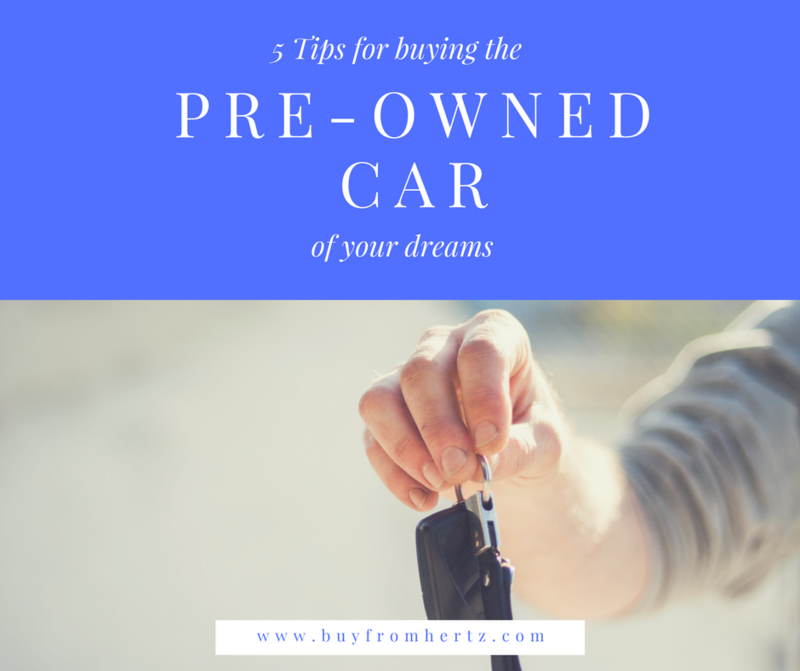 Buying a car can be a stressful process, but it doesn’t have to be. Here are some tips for making your buying experience go smoothly so you can get the best car for your money. 1. Set your budget. You can apply for financing pre-approval to get an idea of what monthly payment and total price you can afford. Be sure to figure in the cost of car insurance into your budget. Coming to the dealership with a budget in mind will help you and your salesperson find a car that works for you. 2. Determine your priorities. Are you looking for a great safety rating? Good gas mileage? Do you want a sleek, sporty look, affordable luxury, or a reliable family car? Decide what features are important to you and let your salesperson know what you’re looking for. They’ll be able to serve you better if you are clear about what you want. 3. Do your research. If you have a specific model in mind, gather information online. Used car buyers often have an advantage, because there are more reviews available of pre-owned models. Read a mix of manufacturer information and reviews from car owners to get a variety of opinions about the quality, safety, and performance of your desired vehicle. 4. Know your numbers. Be sure to compare prices, and know the market value of your trade-in vehicle. Keep in mind, factors like the condition of the car and special features can make prices vary. 5. Don’t be afraid to negotiate. If the sticker price is too high for your budget, don’t let that put you off buying your dream car. Ask your salesman for a lower price. Often you can come to an agreement that both parties can be happy with. For a great selection of pre-owned cars and trucks, vist our website at www.buyfromhertz.com. Follow us on Facebook, Twitter, Instagram, and Pinterest for more helpful tips and fun car-culture posts. 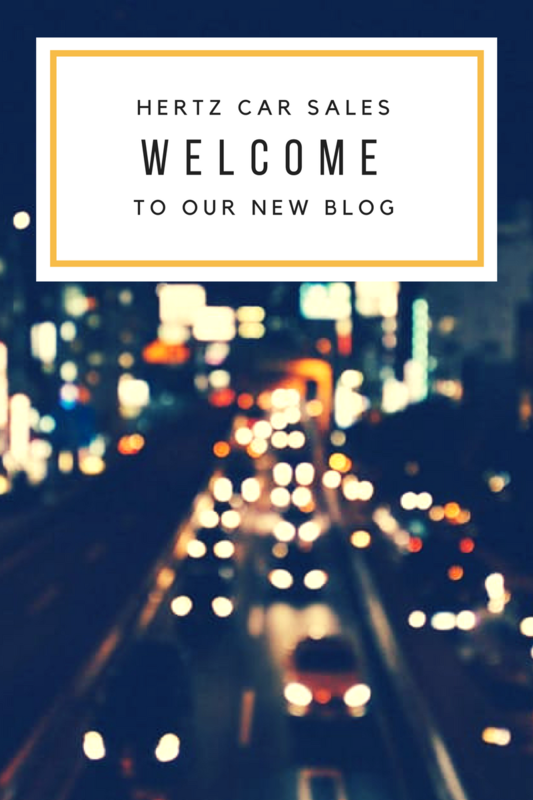 Welcome to our new Hertz Car Sales blog! At Hertz Car Sales in Fort Smith, we know that cars are not just a product we sell, they’re a part of the culture, and integral to your daily life. We want you to be happy with your vehicle every step of the way, so we’re determined to provide quality online content to help you get the most out of your car. Look forward to posts about how to care for your car and keep it in top shape, tips on buying a pre-owned car, local road trip destinations and tips for family fun, news and reviews about the cars we carry, car culture events in the area, fun classic car history, and much, much more. We appreciate your business and hope you’ll check back with us regularly, and don’t forget to follow us on Facebook, Twitter, Instagram, and Pinterest.